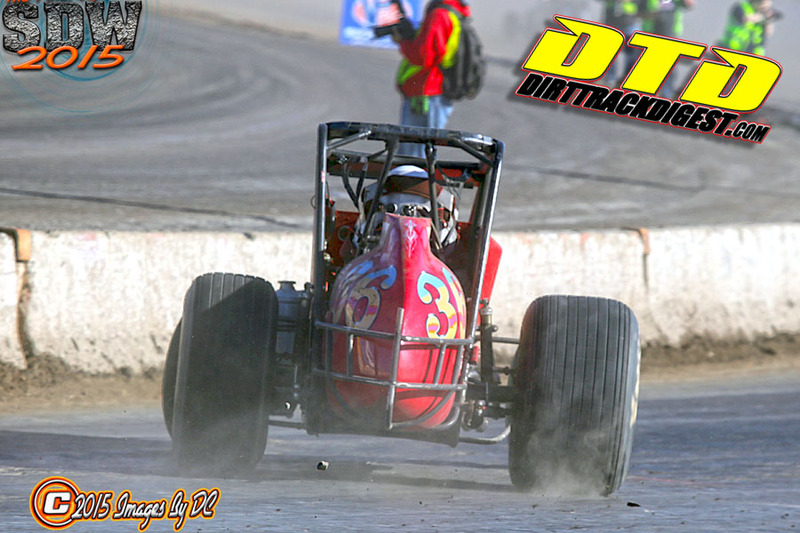 The fairground’s was rocking by the time we got to Sunday of Super DIRT Week. We had to get up and out early to get to the track. 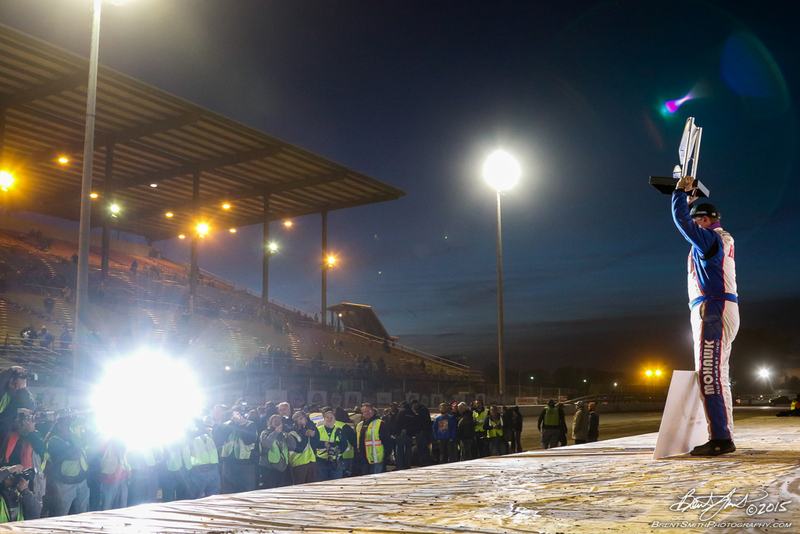 The sun was just rising on the famous grandstands and we stood there to reflect on past Super DIRT Weeks. 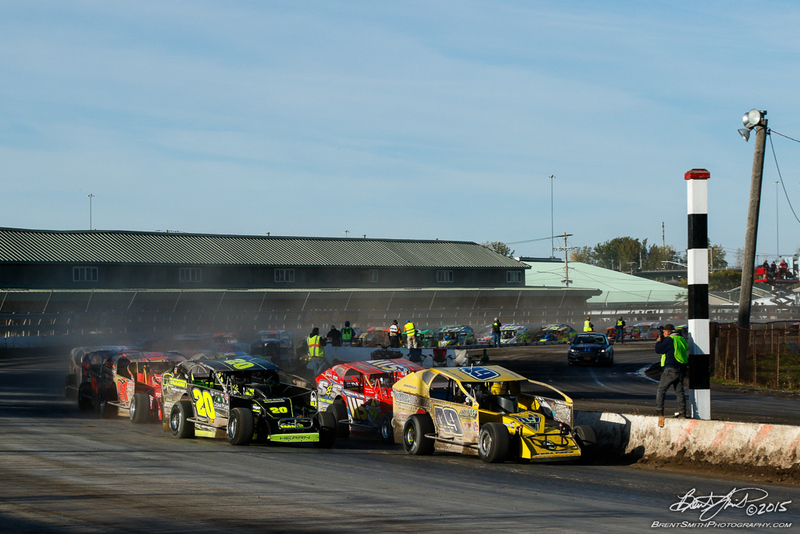 From that point on all we saw was traffic and fans pouring into the fairgrounds right up until race time. 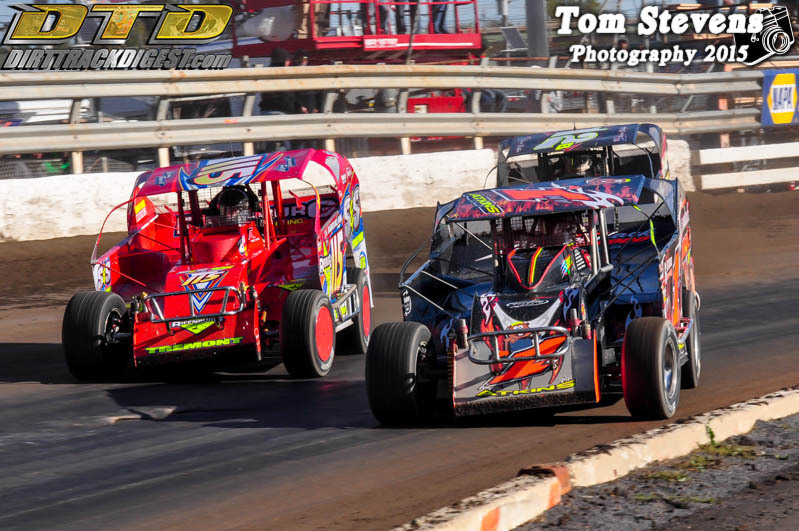 At the driver’s meeting on Sunday DIRTcar CEO Brian Carter spoke with a heavy heart and a sense that he knew he had a mission; to give the grand racetrack a proper farewell. The day was steeped with mixed emotions from sad to total elation for so many reasons. 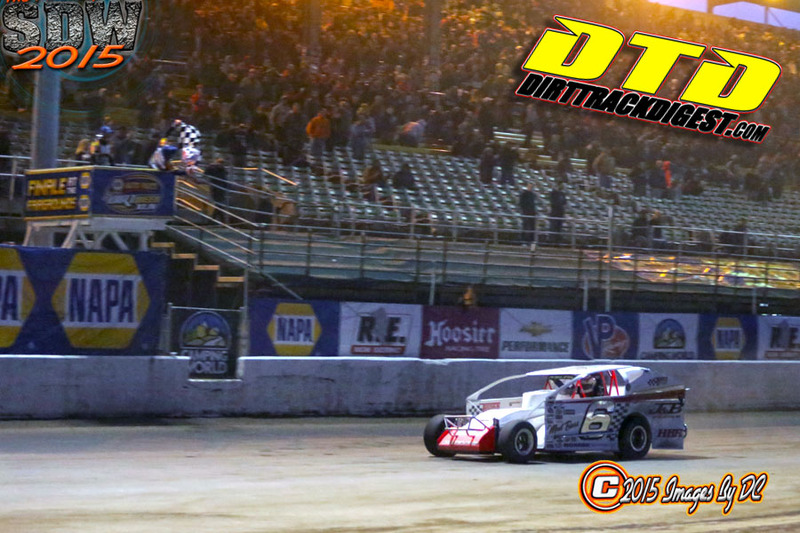 DIRTcar did all they could to give the fans a very special day. Past winners took the stage to be recognized and to pose for a class photo. Sunday’s starting field came to the stage for a photo as the final drivers to ever race the famous mile that was built in 1905. The command to start your engines came from the fans in the grandstand at the direction of CEO Carter. 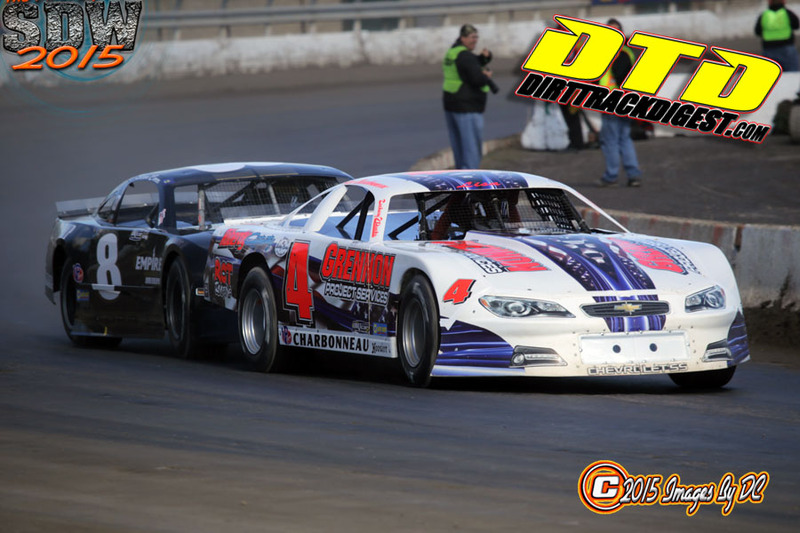 As in the past few years, the race was exciting and dramatic in the last 25 laps because of the change made by DIRTcar during the years they have been at the helm. As the last checker flew and Stewart Friesen was the winner for the fourth time the fans in the stands realized that this was the final time they would sit in the grandstands at the fairgrounds and witness a race at the famous Moody Mile. Some had smiles on their faces and tears in their eyes as they exited their seat for the final time. 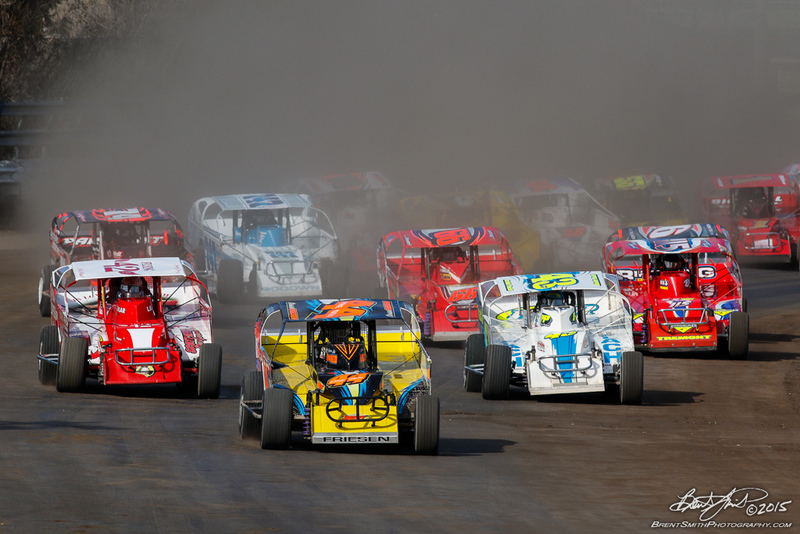 Being the 44th running of Super DIRT Week we knew that there would be room for drama. Our first came when we saw who was sitting in the No. 14J. It was the very recognizable, Jimmy Horton. 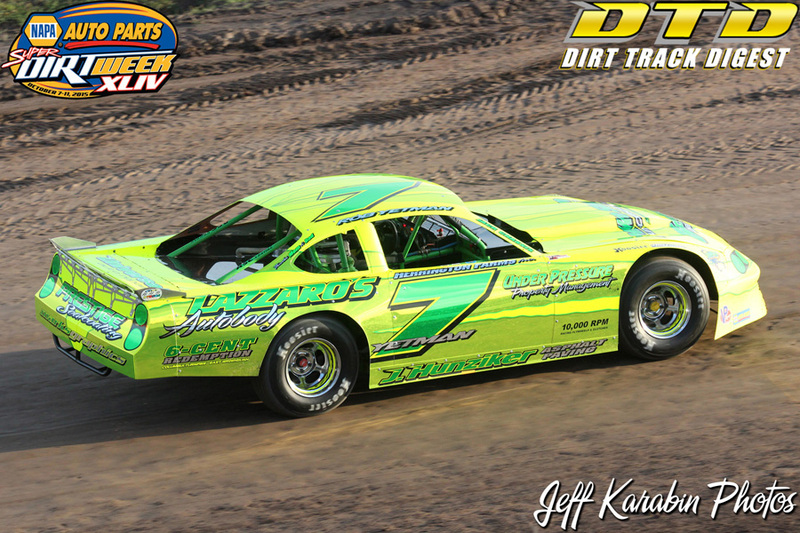 Jimmy has been in 39 previous Super DIRT Week shows and is a two-time winner of the big event in 1987 and 1994. 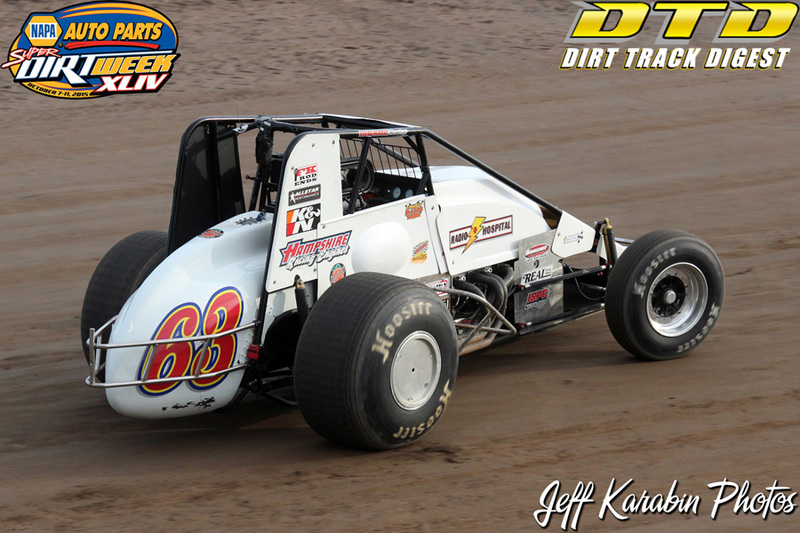 We spoke with crew chief on the car, Gary Balough, a four-time SDW winner, and found out the rest of the story of why Horton was sitting in the No. 14J. 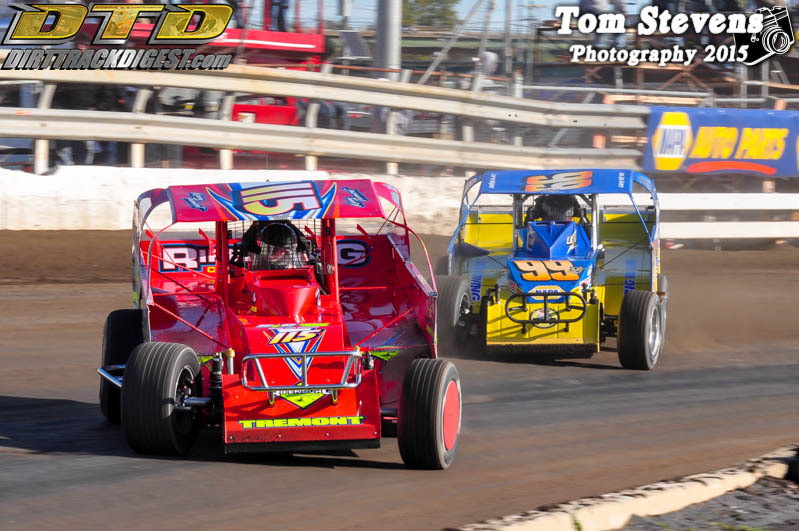 It seems that Balough’s original driver Alan Johnson wanted several changes made to the new TEO chassis car and Balough disagreed because he had set the car up for the mile. One thing that Alan wanted changed was the shocks and said to Balough, “If you don’t make the changes, you can look for another driver.” Balough responded, “I have another driver.” It was Horton and that was why, Horton was sitting in the car Thursday making adjustments so that he could take the car out for time trials. Later in the week on Saturday when we saw the car, Horton had changed one more thing. It was now the No. 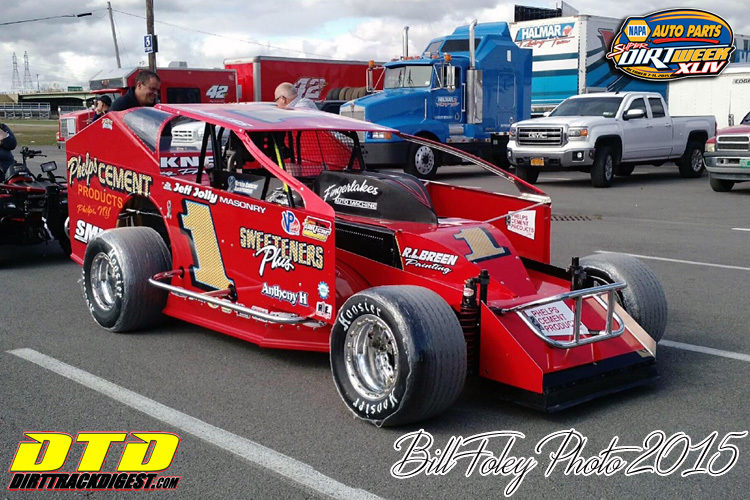 12a in honor of Jack Johnson, two time winner of the Syracuse 200 and a good friend of Horton’s. 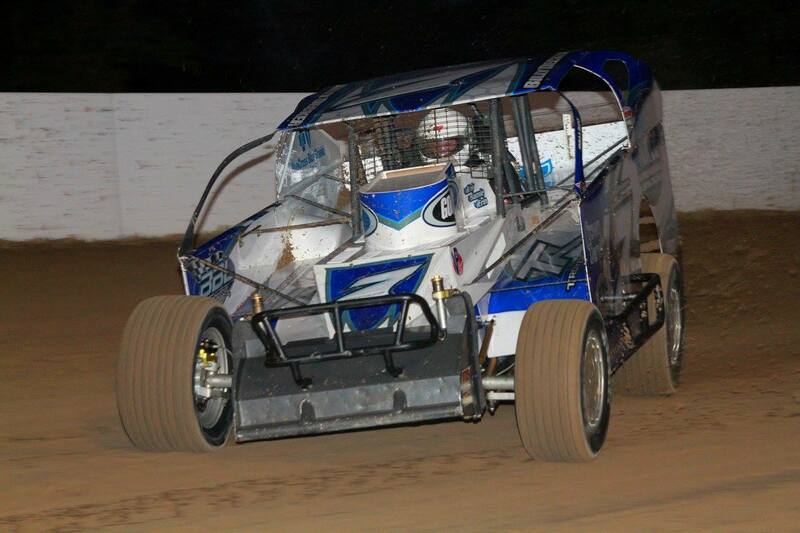 After only sitting in the car for a few hours, Jimmy turned one of the fastest times on Thursday. 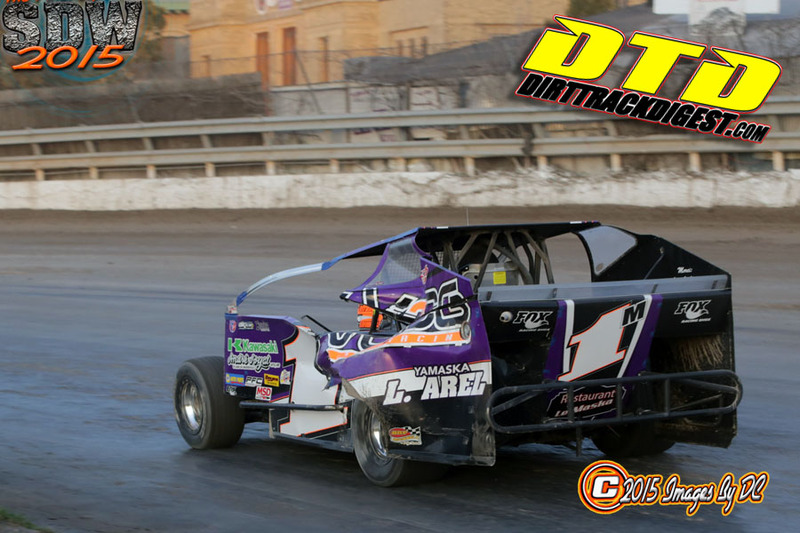 On Sunday Horton had a good run in the Syracuse 200 and finished 16th, the last driver on the lead lap. 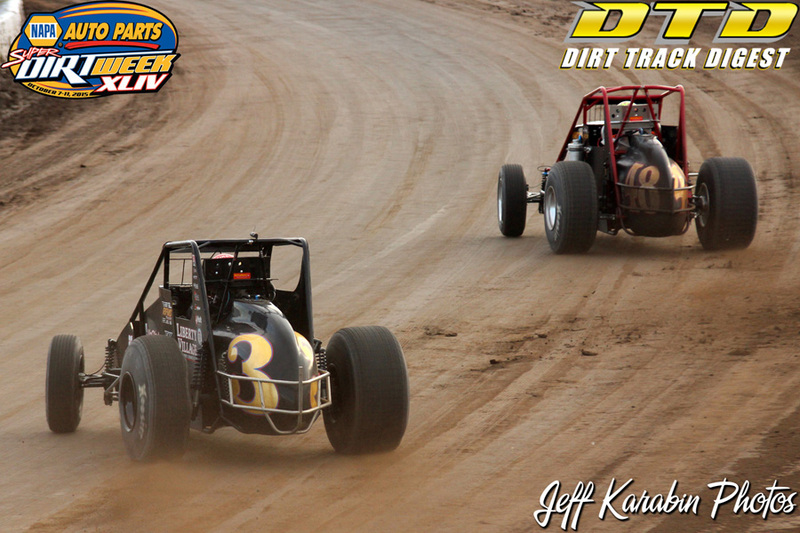 While sitting in the grandstands for time trials on Thursday we noticed a special tribute car numbered 31M. On the rear quarter panel was the likeness of NYS Trooper, A. J. Sperr and the car was driven by Jimmy Maier. We later found out that Maier is a regular at Canandaigua and the car was painted to honor the memory of Trooper Sperr who was a good friend of the Maier family and had worked on their family farm when he was a boy. 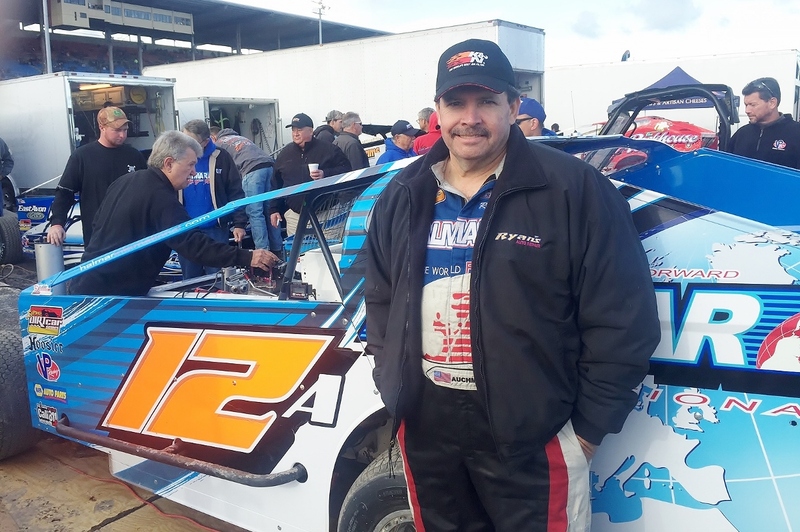 Jimmy and his family never wanted the memory of Trooper Sperr to be forgotten so they came up with a way to preserve it for the finale of Super DIRT Week at the fairgrounds. Trooper Sperr was killed over 10 years ago in Big Flats, NY when he was fatally wounded while conducting a routine traffic stop. He unknowingly pulled over two bank robbers. Trooper Sperr was shot by one of them and was still able to wound both of the suspects. It’s great to see that someone cares enough to remember a fallen trooper. A special moment came during the press conference on Thursday when this year’s Buzzie Reutimann Award was given to three people for their outstanding contributions to motorsports and Super DIRT Week. This year’s award went to Jack Speno, Gary Spaid, and Dave Dixon. 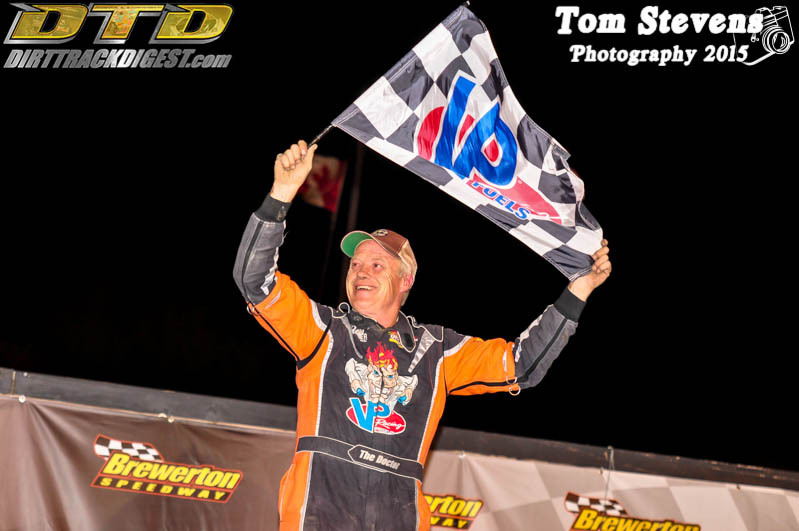 All three have contributed to dirt track racing and Super DIRT Week in their own special way, Speno as victory lane coordinator, Spaid as handicapper and statistician and Dixon as electrician and plumber all of whom worked wonders to keep things running smooth on the DIRTcar circuit and during Super DIRT Week. 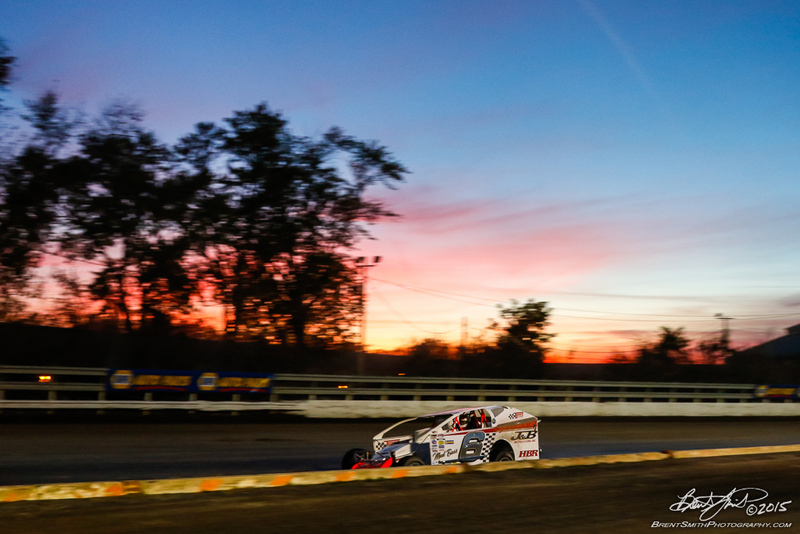 First ever Super DIRT Week winner, Buzzie Reutimann came to Super DIRT Week not only to say good-bye to the Moody Mile but to also reminisce with old friends. One of those old friends is “Dover” Dave Cruickshank. Cruickshank first sponsored the No. 00 of Reutimann’s in 1970 at Langhorne. On Saturday both met at the fairgrounds for a photo opt at Buzzie’s No. 00 coupe in front of the AARN tent. 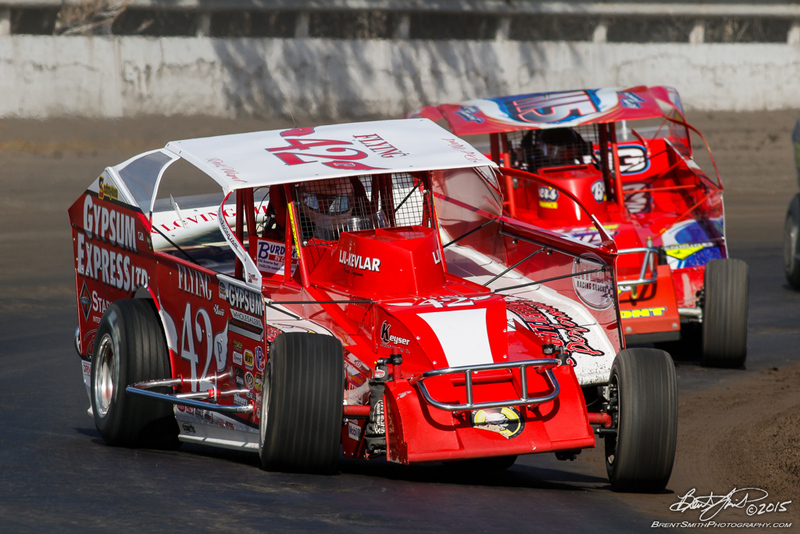 Their friendship has endured many years of racing and they have many memories of racing all over the Northeast. 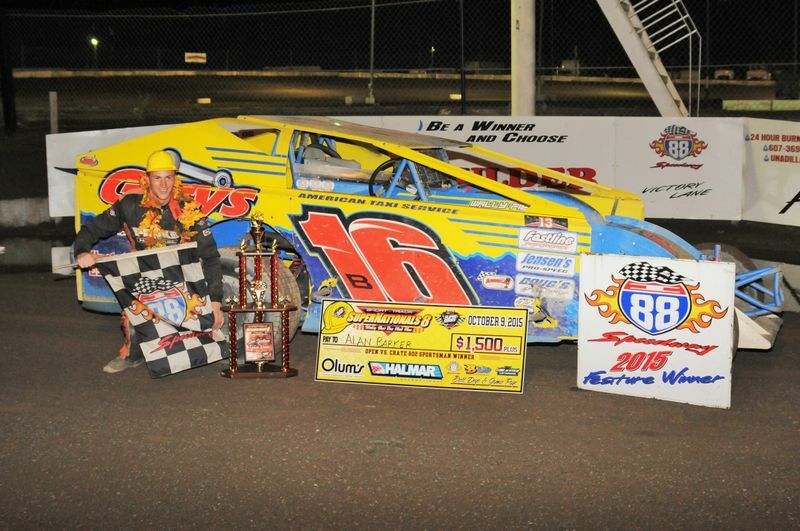 Reutimann still races in Florida near his home and recently won a Modified event at East Bay Raceway. 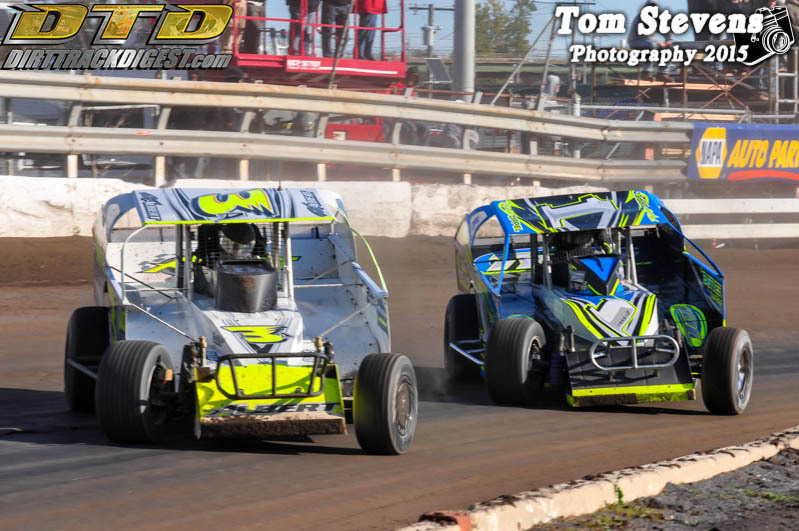 We spoke with Kim and Bill Shea at the mile on Saturday and asked them how they felt after their maiden year as operators of the historic Utica-Rome Speedway. They said it was a learning experience and they plan to work from there. They are looking at this past season and deciding what they want to do next season. In talking with Bill and Kim there is no doubt how they felt about their chance to take over from and work with Gene Cole. Bill mentioned that the late models are interested in running weekly at the track and they are considering it. 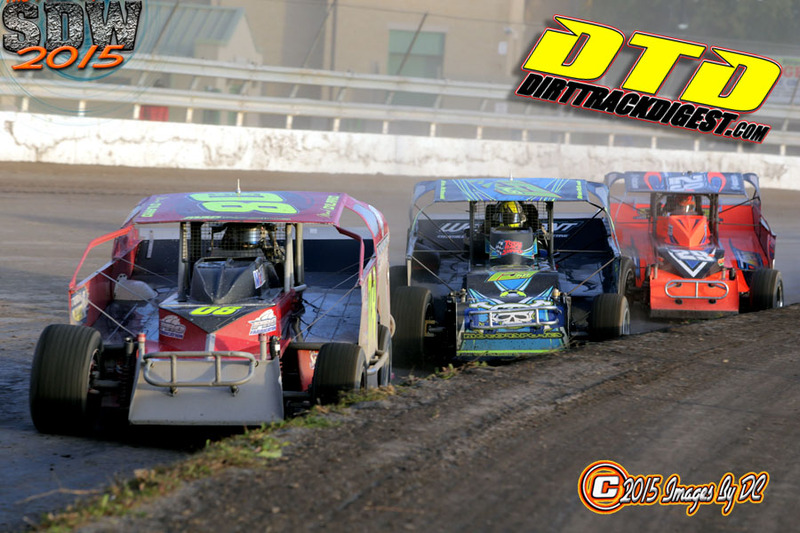 We also spoke with Mike Bruno who owns and operates Devil’s Bowl Speedway in Vermont. 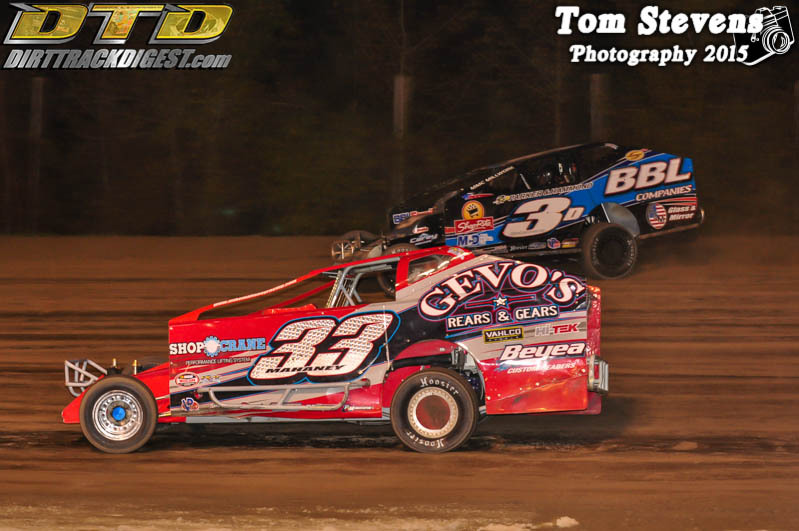 Mike said he decided to step away from Airborne Park Speedway in New York where he was General Manager so that he could concentrate on his dirt and asphalt track at Devil’s Bowl both of which will be NASCAR sanctioned this coming season. With the changes in Mike’s schedule he will have even more time to spend with his family. When you talk to Mike you can see he has his priorities in order with family right at the top.